Something Digital turns 20 years old this year. We launched in 1999, the year before Y2K, a time that many assumed the digital universe as we knew it would come to a crashing halt. Smartphones, today’s ubiquitous accessory, and the app marketplaces they quickly gave rise to, were still some years away. It was a time of cautious optimism, wide-eyed wonder and naivety. Ecommerce was not quite the major engine of the consumer economy as it is today, as many people didn’t quite believe that giving their credit card info to the ethernet (as it was often called) was a good idea. At the same time, the number of ecommerce sites was exploding; People magazine ran a weekly column, called “The Net,” that highlighted the amazing range of products that were now available on “The Net.” In 1999, Amazon patented it’s 1-click service, and Alibaba launched — events that undeniably ushered in revolutions in consumerism. We assumed that the Net was the place to go when you wanted to explore, shop, and browse in absolute privacy. How things have changed! Now that global marketplaces and apps are our new normal, it’s hard to imagine there ever being a time when going online required computers and dial-up modems, or that Amazon only sold books! To honor our 20-year journey, as well as all things digital, the women of Something Digital answered 20 questions about working and mentoring in the digital ecosystem. 1. Where are the biggest career opportunities for women in the digital ecosystem? There are opportunities for women everywhere and as we continue to progress companies need to ensure that they are hiring them at salaries equal to men, and providing necessary benefits like flexible time off and maternity leave. 2. Do women have a fair shot of advancing their careers in the digital ecosystem? In general, no. 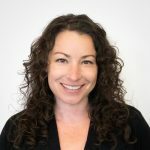 Women are deterred from entering careers in tech, perhaps because 1) the leaders in the industry are all men, 2) the pay gap is significant, 3) young girls who are interested in STEM education don’t realize that those types of careers are even possible because they don’t see themselves represented in the field. 3. What advice would you give girls interested in pursuing computer science? Find female mentors and male allies and don’t be afraid to ask them for advice. Be confident in your skills, even when other people dismiss you or try to make you feel inadequate. If you can, pursue internships during high school and college and try to learn as much as possible. Maintain connections with the people that you meet in those internships because they might be valuable when you’re ready to enter the job market. 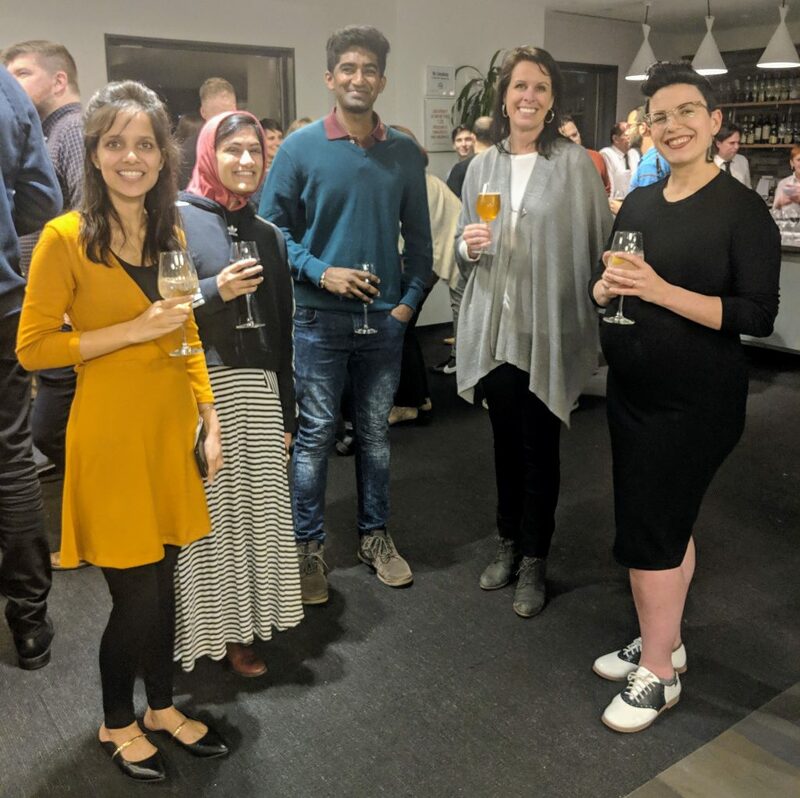 I am fortunate to have a wonderful female boss at Something Digital who does a great job providing advice, feedback, and a clear path for growth within the company. 4. What impediments still hold women back in the tech industry? 5. Are there aspects of the digital age that have empowered or inspired you? It’s inspiring to know that we’re in an industry that is always changing, one that demands us to grow and adapt to in order to survive. For example, digital has become so customer centric that agencies and service providers are forced to become more strategic and creative about what’s needed now, as well as what we project will be necessary in 12+ months from now. 6. What can technology companies do to help women progress in this field? Promote women in thought leadership! The more women that are front and center and a part of the conversation, the more normal their leadership positions will become. Personally, when I find good talent, I’m willing to create a new role for that person to keep them engaged and growing within the organization. Women should feel empowered to create a role and position for their skill sets, even if such roles never existed before in that company. As quickly as digital is changing, so does the makeup of how we deliver it. 7. What is your favorite part of being a woman in this industry? When I first started at SD there were ~8 other women in the company. Within a year we headed out for “tea at The Plaza for the women of SD” and we couldn’t all fit in the same elevator. My favorite part of being a woman in tech is hiring women that are better than me, which has turned out to be quite easy. 8. Is the digital ecosystem a force for good? It depends on who you ask. Digital is everywhere and everything, but the way a 30-year old mother interacts with it is very different from a 65-year old grandmother or a 22-year old college graduate. It can be misused and abused, but it also provides conveniences and capabilities to individuals that previously didn’t have the opportunities. It may monopolize time or free up time. Each individual has the power to let it be a force for good or evil. 9. What advice would you give girls interested in pursuing computer science? Seek internship opportunities as early as possible to gather a wide range of experience and exposure before entering the workforce full-time. Having a range of internship experience with different companies will give you exposure to the way that different organizations are run, how role definitions may vary from company to company, and will give you insight into what organizational values resonate with you and allow you to do your best work. I recommend looking for internship roles that will allow you access to doing as much hands-on work possible, and prioritizing working with companies and supervisors that value mentorship as one of their core leadership values. I was lucky to have a strong mentor as my supervisor in my first professional role, and the extra focus on professional development and the lessons that I learned early on from that experience still influence the work that I do directly now, and how I’ve approached the management of my direct reports over the years. 10. What progress do you see being made in the next 20 years for women in the industry? I hope to see more representation for women in positions of leadership in technical and creative organizations in the coming years. 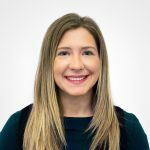 I believe that companies in the industry can directly influence this in part by prioritizing diversity in their recruitment, creating mentorship and professional development tracks for women looking to advance within their organizations, and supporting and prioritizing paid family leave for men and women. 11. 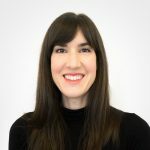 How can women help future generations of girls interested in the tech industry to further their education and possibly careers in the digital ecosystem? 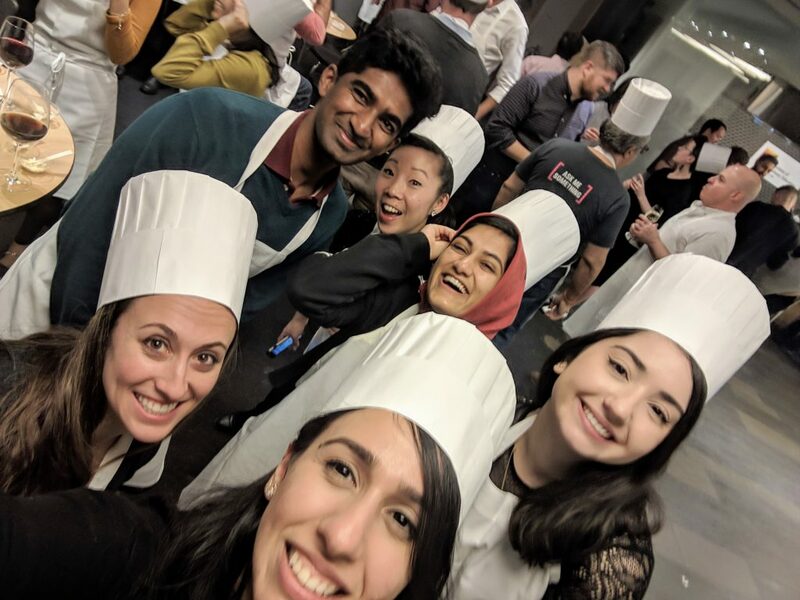 A great start for women and men alike would be volunteering for mentorship programs that specialize in providing opportunities for extended education, training, and exposure for girls of all backgrounds who are interested in tech. Women may also consider creating internship opportunities within their organizations, and connecting with mentorship programs or women in technology groups in universities to promote these opportunities to candidates who may benefit the most from them. 12. Which trends are you most gung-ho about? The digital trend that has peaked my interest the most is the rise of AI Voice Assistants. Think Siri, Alexa, and Cortana. These voice enabled devices are proving to be super helpful and totally ingrained in our everyday lives. They help us shop online, screen our calls, manage our calendars, give us the latest news, entertain our kids by playing “Baby Shark” over and OVER AGAIN, you name it. They are the equivalent of a human personal assistant. However, I find it very interesting that the majority of these AI Assistants are either branded as a woman or utilize a woman’s voice. “They embody what we think of when we picture a personal assistant: a competent, efficient, and reliable woman.” (Source). What does this say about our society that these devices test better as women, and that these female branded devices perform menial tasks similar to a 1950’s secretary, while IBM’s “male” branded Watson is utilized in cancer treatment, operating rooms, and the “all-knowing” Jeopardy winner? 13. Does the digital ecosystem represent women and their needs well? Given my thoughts on AI Voice Assistants I truly don’t believe the current digital ecosystem represents women well. We have come far, but not far enough. If we had more women in a tech leadership position at these larger tech companies perhaps these devices would have been branded differently, even providing the end user with the option to name it as they see fit. “Bob, play Baby Shark”. We can do better, and we will. 14. Why do you think it’s important for women to get involved in the digital ecosystem? By including women’s voices, experiences, and skills in the designing and building of technology, we can create better, more inclusive products for everyone. The digital ecosystem is a cornerstone of a modern economy, and one with tremendous growth opportunities. As women strive for equality on all fronts, progress in the digital ecosystem will be of paramount importance. 15. Do you think schools are offering enough exposure to computer science to young girls? Schools are not offering enough exposure to computer science, period. The subject is often dismissed as extra-curricular and computer science classes are among the first to be cut as school budgets are slashed. Offering equal opportunities to excel in computer science to young students is extremely important for women. As we know, talent in this arena is distributed equally among all students, and equal and enthusiastic encouragement for young students to study computer sciences will benefit women’s progress in the field. 16. Do you think the way the media represents computer science and coding is gender inclusive? Why or why not? A quick Google image search of the word “programmer” yields thousands of images. The first appearance of a woman is the 36th result. As a society we still perceive “programmers” “engineers” and even “hackers” as men. TV (looking at you, Silicon Valley) and films tend to reinforce the perception. On a positive note, women’s computer science programs, such as Girls Who Code, have been able to garner considerable media attention and therefore have been able to reach a wider audience of girls and women looking to enter the industry. 17. In which ways (if any), do you think, are we still naive about the internet? I worry that we are naïve about how much free will we truly have. I’ve been thinking a lot about a medium article I read recently. In it, the writer, an MIT researcher, discusses the consequences of information online becoming more centralized and how our social media feeds gaze inward, failing to link out — with the exception of paid advertising — to other sites in the greater, potentially-soon-to-be-forgotten web ecosystem. Among the negative effects is that we lose control of what we’re exposed to, leaving the decision of what we read and digest up to inherently biased algorithms or machines. The writer doesn’t touch on PWAs, but I wonder if by saving only the apps we ‘choose’ to our devices, and cycling through them exclusively over and over, we shut out other voices, ideas, and opportunities. It may look like free will, but our exposure to the outside world increasingly becomes programmed, curated to a singular viewpoint, and therefore disconnected. A limited point of view, with content dictated by a limit group of people, winds up limiting our freedoms. That said, maybe the thing we are most naïve about is accepting that everything both on and offline evolves; we are not and have never been fully in control. 18. What feature or service do you wish existed but doesn’t today? As a UX designer, I would love to be able to optionally cherry pick and turn off the extra noise on the websites I visit and the apps I use. Technically, I can do that using browser inspector tools, but those preferences don’t hold upon refreshing a page or entering a workflow. Not unlike a pop-up blocker, but for fixed elements within a webpage or product, anything that I find distracting in the moment or hinders my ability to enjoy the shopping, reading, task-managing experience. I like the idea of having sessions-based or cookie-based personalization controls, like the ability to easily change a typeface to one that is more legible if I’m reading a long article, hide all upsells and cross-sells on product detail pages so I can focus on the product at hand, or universally suppress paid content that I might mistake as genuine. I imagine it like a simple gesture, one that can’t be mistaken for any other. I suggest sessions-based, because I don’t want to risk missing out on information that might apply to me on subsequent visits. Our tastes, needs, and capabilities change over time, so what’s ‘noise’ to me today might not be tomorrow. I wouldn’t be surprised if some level of this kind of customization already exists, and if it does, tell me about it stat! 19. When you consider the digital trends of today, which are you most cautiously optimistic about? I believe social media has become a great way for women to discover new interests and connect with influencers and confident women to look up to. However, I think that sometimes the lives we see on social media are idealized to a fault. Social media can often contort our ideas of reality- and make women unfairly compare themselves to the ‘picture perfect’ lives they see online. I believe it’s important for women to look beyond what social media tells them is “perfect”, and find worth in the work they do, the interests they pursue, and the talents they have. 20. What is your favorite part of digital? My favorite part of digital is how connected digital has made all of us. It definitely has it upsides and downsides but overall I believe it’s made a positive impact on the world. It allows us to collaborate with people on the other side of the world and helps us solve problems. It can also make it difficult to weed through what is true or false but it’s given us a better sense of awareness about what to believe and makes us do research to learn more. It has opened our minds to other cultures and beliefs and allowed us to connect with people no matter where they are in the world. Currently, our leadership roles consist of 50% women. We offer competitive wages for men and women. We offer opportunities to speak at events focused on supporting women in tech. Our female to male ratio is 41%. If you’re interested in speaking with SD about career opportunities or how you support women in tech we’d love to hear from you! Given that public speaking is fear number one for me, whenever I am approached to speak in front of large groups of professionals my first fantasy is that the talk will be cancelled. ‘Surely a hurricane will come through the same day as the event! The date is also dangerously close to flu season – I’m most definitely going to get the flu!’ That internal dialogue began when my creative director here at SD, Mickey Winter, first mentioned the two of us giving a talk at Connected Commerce 2018, a conference in New York City. She might as well have asked me to climb Mt. Everest. But after the panic subsided and reality set in, I realized that planning ahead, one step at a time, eventually makes that mountain look more like a hill. And that’s just what we did. We prepped and rehearsed and came up with relatable content not only for merchants, but for every person interested in the attainment of joy. We were inspired by Ingrid Fetel Lee’s 2018 TedTalk “Where joy hides and how to find it”. We researched what brings us joy, how we can manifest these ideas into a web store’s UX/UI, and some of our own work at SD that represents these ideas. After arriving at the conference, Mickey and I were resolute in executing this presentation with confidence. The conference itself is a one-day summit that brings together brands, retailers, and solution providers for a day of talks and networking, hosted by our good friends at Logicbroker. Those dreaded butterflies fluttered for the hours leading up to our talk, and lingered backstage as the two of us waited for our turn. But after shooing them off with some silent aerobic exercises just before we walked into the spotlight, we finally presented. What is joy and how can we use it? First, there is distinction that needs to be made between the feeling of joy and the feeling of happiness. Both are emotions almost every human experience in a lifetime. Happiness is how good we feel measured over time whereas joy is what you feel in the moment. Right now. Psychologists describe the word joy as is an intense, momentary experience of positive emotion. What about the images below give off a feeling joy? If you analyze closely you’ll find that there are 5 common UX/UI patterns seen in all of these images that can help evoke joy within an ecommerce experience. From an evolutionary perspective, humans prefer rounded shapes compared to shapes with sharp angles. Sharp angles often signify danger, while curves elicit a feeling of ease. Incorporating this into a UI could be as simple as designing buttons with rounded corners or placing imagery within rounded containers. 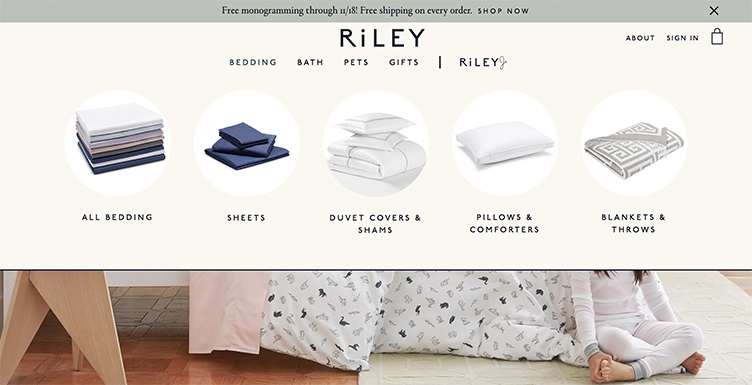 RileyHome utilizes round shapes throughout the homepage and navigation elements. Who doesn’t love a beautiful rainbow? Color gives of a feeling of energy and signals to us life itself. People in colorful spaces often feel more alert, confident, and friendlier. When it comes to UI elements, color is easy to manifest in calls to action, promotional banners, and even the product photography itself. 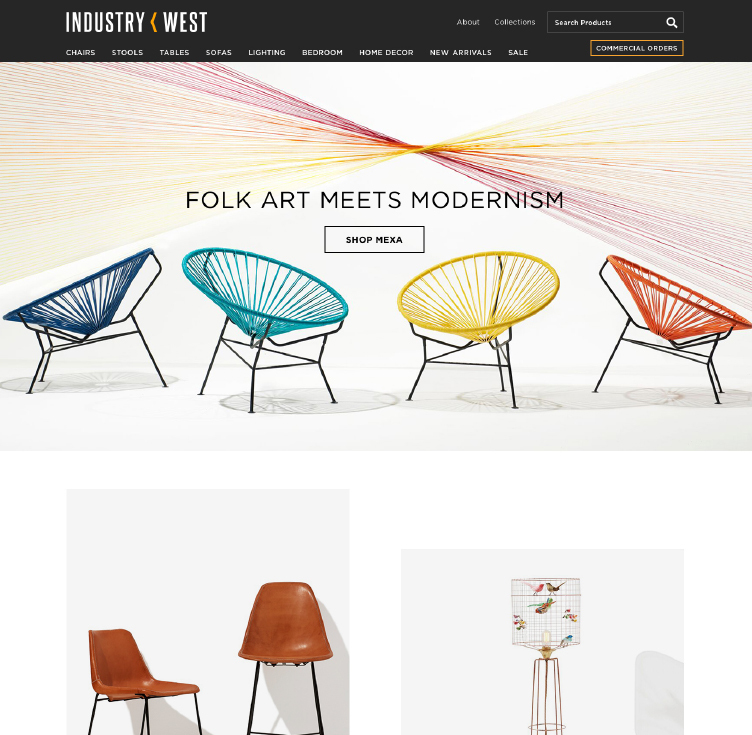 Industry West utilizes color in their photography and UI to elicit a feeling of joy. If you’ve ever swung high on a swing set, you know the feeling of being completely weightless for the brief second before gravity kicks in. The feeling of floating or lightness can be seen and felt when adequate white space is used throughout a page. Customers find content easier to digest when a page is less cluttered. 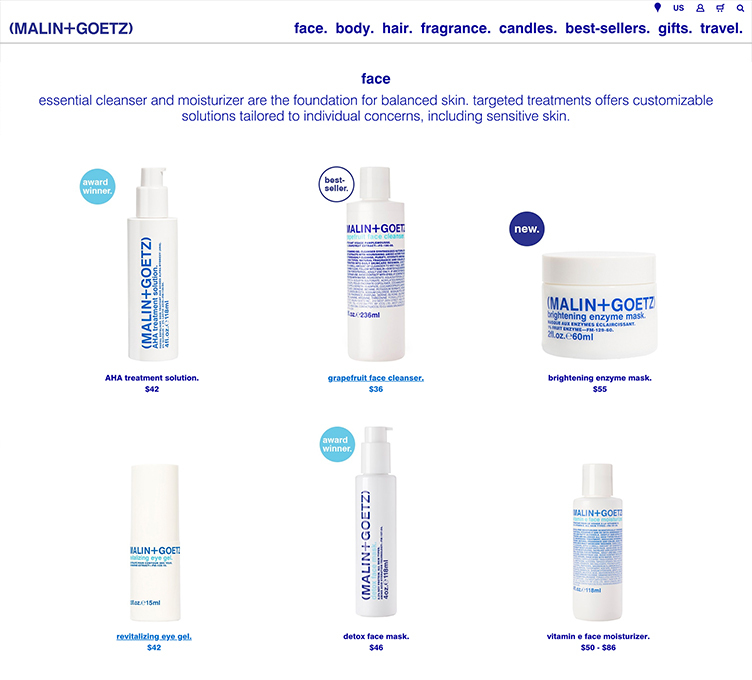 Malin & Goetz utilizes a white space around its products and within the packaging design itself, giving a feeling of lightness. From a primal perspective, scarcity is a dangerous feeling. An abundance of food means survival. Showing products in groups or in a way that it looks like they are abundant will make Customers feel more at ease. Baked By Melissa showcases multiple cupcakes in almost every product shot. Symmetry is beautiful. People generally prefer symmetrical faces to non-symmetrical ones. We are hardwired to look for patterns and balance, and when we see it, it just feels right. Symmetry in UI can be done using equally sized images or similar content on both sides of the page. 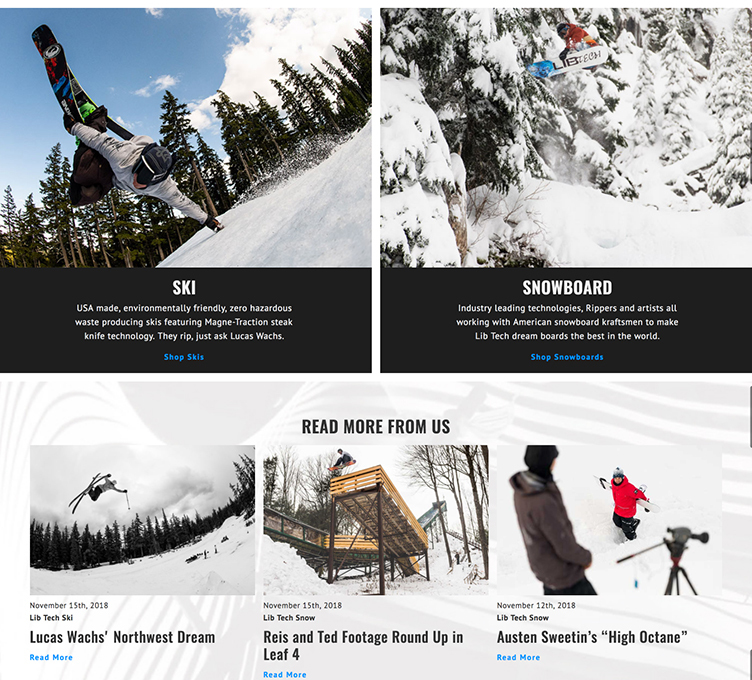 Lib-Tech’s homepage is design to be completely symmetrical. If these principals are incorporated tactfully into a web store’s UX/UI, customers will leave the store feeling wonderful about their purchases, and likely to return for more. As Mickey and I walked off the stage a warm sense of relief and excitement flooded over me. For both of us, it was our first time presenting to a crowd of this size, and the feeling of personal accomplishment was immensely fulfilling. The best part of the whole experience was meeting with professionals after the talk who truly wanted to discuss ideas further with us. We both agreed, the experience was a joyous first! At some point, your college career must come to an end. Although this can be sad thought to wrap your head around, everyone must prepare themselves for the pomp and circumstance and get ready for the next step in life, your professional career. Don’t get me wrong, working my first full-time job as a digital marketing strategist has been the most exciting, educational, and surreal experience of my life so far. Being employed at Something Digital is truly a blessing. The culture here allows for an easy transition and the training I have received from experts in the industry has expanded my knowledge base tremendously. As I look back on my first month there are some things that college does not prepare you for when you enter the working world. Based on my experiences thus far, here are some tips that will help any young digital marketer succeed as they launch their career. Being a marketing major was great. I would go to class and watch advertisements, talk about the latest pop culture trends and their impact on marketing strategies, and have in-depth conversations about Starbucks branding. This compared to my peers; who had to study for endless bio exams. Although these class discussions were engaging, they did not always apply to what is now and more importantly, what is next. Part of being a great marketer is the ability to predict digital trends before they even happen. It is about being ahead of the curve and to always expect the unexpected. What professors teach us in school is old content derived from even older textbooks. So, my tip, always read to stay ahead, educate yourself, it will pay off in the long run. Know what is next rather than what has already past. Be agile with trends because digital marketing functions tend to come and go. What is relevant today may be gone within months. Being willing to learn coincides with being agile. As digital marketing trends fade, new ones will surface within the industry. Therefore, the willingness to learn is a vital component to any digital marketer’s success. Learn to expose yourself to as many different theories, strategies, and ideas as possible. What may work for one client may not align with the goals of another client, so expose yourself to as much knowledge as possible. For example, a lull in sales does not mean your customers don’t want to make a purchase, maybe they can’t. The issue could be stemming from the technical aspects of your client’s website. As a result, one must be willing to study all sides of digital marketing, both technical and non-technical. A huge part of digital marketing is the ability to know how to use and understand a lot of different platforms. Google Analytics, Google AdWords, Google Search Console, MOZ, Google Keyword Planner, MailChimp, and Google Tag Manager are just a few of the most popular digital marketing tools. Learn how these platforms work and keep learning, they’re always being updated and upgraded, especially Google’s. Learn to stand out by being creative. Even in a technological and data-driven industry, innovation is valued. Try to be creative in your data findings. Do not just look at the numbers. Ask yourself, what do these numbers mean? Do not jump to conclusions, look for all possible answers in your insight. Digital marketing may not seem as creative as other areas of marketing, like design and branding, but there are ways to stand out to employers by being innovative in your analysis. Transitioning from college student to a full-time job is not as easy as it may seem. You go from being comfortable in an environment you have been excelling in for years to a whole new world. If you are like me, you are moving on from a small school to a big city agency, and it is intense. New people, new routines, new theories to learn and practices to understand is a lot to take on, so my tip is to be confident. It is easy to get discouraged in such a fast pace, digital world. Constantly remind yourself that you can do it, stay focused, and set goals to achieve. Entering into a fulltime position is not easy. It is stressful, nerve-racking, and very intimidating. All these feelings are worth it in the end. You get to work with people that make you better, learn new applications and theories, and advance your career. By following these tips, you can give yourself an edge as you transition from full-time college student to a full-time digital marketer. For the final summer hires’ blog, SD’s three summer hires look back on their experience this summer. At Something Digital, I am a Summer Project Manager. When SD extended the opportunity to me, I accepted because Melanie Lopez would be my mentor. I work directly with her to manage projects, which involves scheduling and running meetings, interacting with clients, and creating documents. I even managed projects independently for an internal tool and a new page for the SD website. Everything I did contributed to my learning, but I grew the most in the daunting space of client interaction. My main goal this summer was to better my client relations skills and build confidence and comfort in interaction. I began by easing my way into it – saying hello on client calls and sending emails. However, the most impactful experience was when I led a client call unexpectedly. I memorized the agenda and read and re-read the talking points Melanie provided me. I knew the clients from earlier meetings and they are reasonable people, but I was intimidated. I dialed in stressed, but thirty minutes flew by and with the support of the SD team, I communicated everything I needed to. I was able to convince the client to push launch date, get sign off on documents, and address their questions. I have led a handful of meetings since then without any fear. The success of that first interaction pushed me to overcome my hesitations. I accepted the chance to attend an offsite meeting at a client’s office. I wasn’t sure what to expect, but the SD team put me at ease and explained how face-to-face time is extremely valuable. I built comfort in written communication with clients as well. A client can spend 30 seconds scanning an email I took 30 minutes to write, but that decreased with practice and developing concise communication became natural. I owe much of this to Melanie’s guidance, which pushed me to get better. The internal SD work also helped me grow. When I collaborated with other departments and debriefed with them after, I treated the opportunity as if I were presenting to clients. These interactions also helped me acclimate. To say that I achieved my goal would be an understatement; I feel like I completely obliterated it. I was trusted with responsibility, so I was able to do much more than I expected. Working at SD was a privilege – I now have real-world experience and a mentor I know I can always count on. I will carry the skills and confidence I gained here with me into all my professional interactions moving forward. Hey! I am the back-end Summer Hire, and I’ll use this entry to highlight some of my work. First, I worked on enhancing an internal application called HealthCheck that runs tests on our clients’ systems. It was initially developed by our Tech Lead and my mentor, Max Chadwick, to monitor databases. I write security checks that send different alerts to our teams when an issue is discovered. HealthCheck is an important tool because it helps us keep our clients’ sites free from cyber threats. My tools include various software and platforms, like PHP, XAMPP, and Magento. Each presented a steep learning curve for me, since I had no prior experience and little knowledge of their functionality. To start, I conducted lots of research on which applications would work best and how to integrate them. Once I set up a local environment, I began refactoring the code. This was a challenge because it was my first experience with PHP. I learned the syntax, functions, and concepts to have every file and class communicate. As my code became executable, I integrated with Magento to read server databases. Due to lack of documentation, it was hard to understand errors I came across. But with direction from Max, I was able to understand Magento’s behavior and fix the problem. In addition to working on HealthCheck, I contributed to the quality assurance process for some project deliverables. I learned QA practices and tested several client sites to ensure they function correctly on various devices and browsers. After passing a list of test cases, the site can go live. Taking on QA was a big step for me because I actually executed on client-facing work. The summer was filled with challenges I enjoyed overcoming. Through the process of working through difficult tasks, I started to see significant improvement in my development skills, particularly with how I structure and integrate code. As a Summer Hire at SD, I’ve truly grown and contributed my knowledge to the company. By working on my particular assignments, I gained an understanding of who a back-end developer is, which is awareness I expect to carry into my future career. When it comes to new organizational skills, most college students think about having to fix their life around their new work schedule but working at SD taught me how to track time better. Every task we perform, big or small, gets logged. As a multitasker, it sounded daunting at first, but I quickly came to realize the benefits of time tracking. Explaining each task in writing, helps solidify my personal understanding of the task and creates clear checkpoints for next steps. Furthermore, seeing exactly how long tasks require gives me perspective on my on my own abilities. As time logs gradually became shorter as I repeat similar tasks, I appreciated having a visual display of my growth as a developer. Similarly, I improved my decision-making skills. During the development of the internal tool, I attempted to incorporate an external library, but ran into issues when integrating with my existing code. With Nadav away on business, I had to address the issue on my own. After an hour of attempting with a preexisting solution, I determined it would be more efficient to build my own. My solution took an hour to write and another to implement, significantly less time than originally expected. Working at SD taught me more than the technical skills required to be a developer. I learned to better track my time, increasing my productivity in each task. I gained intuition in decision-making, enabling me to identify workflow issues and handle accordingly. These are skills a developer can only gain from being a part of an organized team in a professional setting. Something Digital has Guideposts, short sayings that suggest different ways to deliver value and produce quality. They remind us to stick to the process and have quality interactions, among others. Deliver bedside manner is the one that piques our curiosity; it differs from what we were taught about the business world. If you don’t know what bedside manner is, don’t worry, we didn’t either. This philosophy ensures we deliver recommendations based on expertise instead of what the client wants to hear. A patient experiencing headaches might want her head chopped off, but a physician delivering bedside manner would recommend pain relievers over decapitation. Bedside manner is frequently practiced by teams at SD. For instance, we had to convince a client to push back on their launch date. Their projected launch happened to coincide with the week that the client’s team was attending a conference. Due to the intricacies of a go-live procedure, we strongly urged them to push launch until they had the appropriate personnel available. It was not ideal, but the client understood it was in their best interest, and we rescheduled. If there are two choices, and we understand one would produce greater benefit, we would be remiss by not informing our clients. Delivering bedside manner is providing perspective on ways to improve a business and informing clients as such. While our clients are experts in their business, we have expertise in building and growing ecommerce sites. We’ve done hundreds of them and have definitive insight into what works and what does not. SD practices bedside manner because a client’s business success is in our best interest. Throughout our summer, we’ve seen our colleagues practice bedside manner and prioritize with clients to help them succeed. When clients don’t understand why certain tasks take precedence, they can become justifiably concerned. However, we then discuss, cite a rationale informed by experience, and agree on a plan of action. SD tells clients what they should hear, not just what they want to. Our clients trust us because we care enough to challenge them to achieve their goals. We strive to change clients’ priorities when we disagree, and it truly does build better relationships. Here at Something Digital, our team loves to give back to the place we call home! Once a year, we partner with a local non-profit organization that helps better our NYC community. 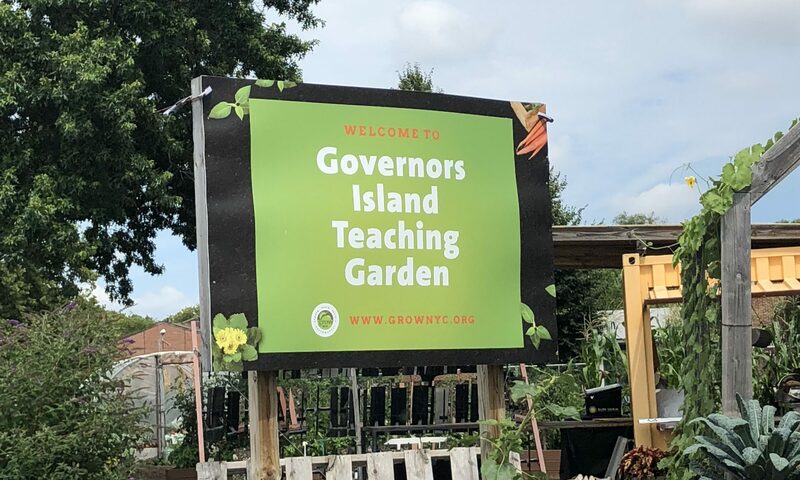 This year we are proud to have served GrowNYC at their Governors Island Teaching Garden location. 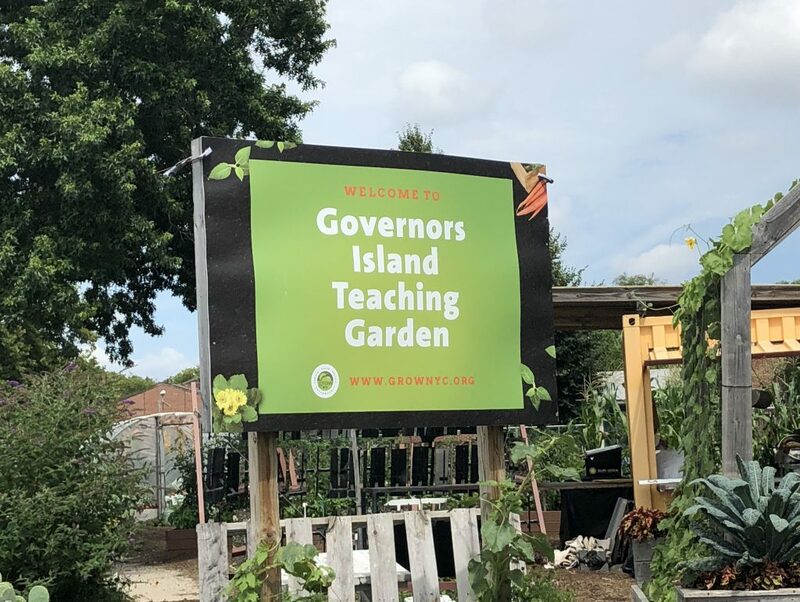 The GrowNYC’s Governors Island Teaching Garden is a 21,000-square foot urban farm featuring a ½ acre small-scale farm, fruit trees, an indoor kitchen and solar oven, a green house and much more! The garden aims to engage and educate visitors in all aspects of urban farming. 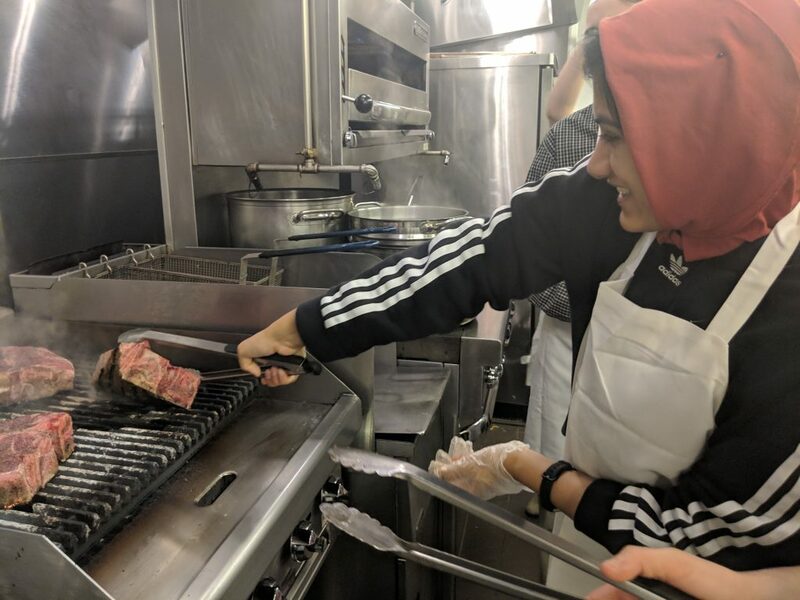 The program offers opportunities for NYC’s underprivileged schools and summer camps to visit the garden and learn the benefits of community gardening and take part in planting, harvesting, watering, and even cooking what the garden has to offer. GrowNYC also teams up with communities around NYC to help build community gardens in low-income neighborhoods. 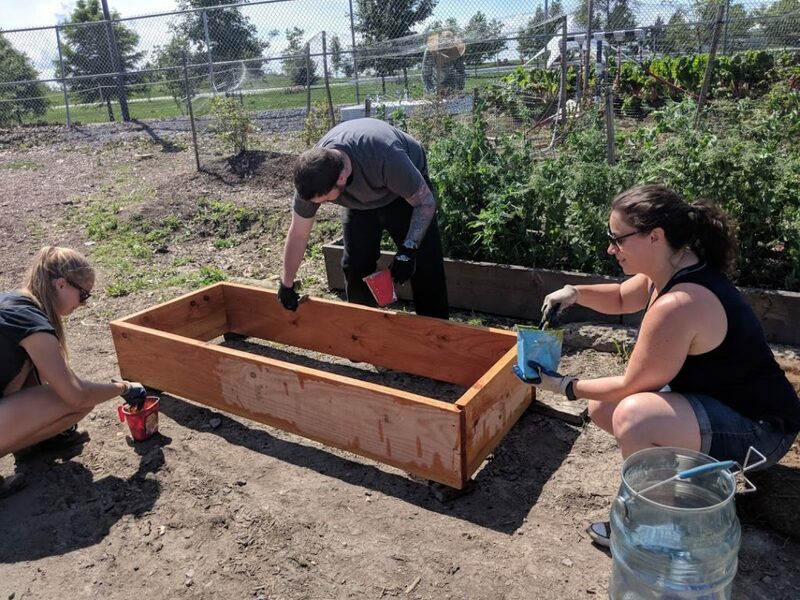 Our team rolled up their sleeves to participate in tasks such as spreading topsoil, sanding, and building flower beds that would later be used to help low-income communities start their own gardens. Both SD teams had a positive experience with the work they accomplished and partnering with the staff of GrowNYC. However, it wasn’t all hard work! Our teams enjoyed the fruits of their labor! We savored the taste of the fresh growing berries, were gifted fresh produce from the garden at the end of the day and got a close look at some of the animals in the surrounding farms. 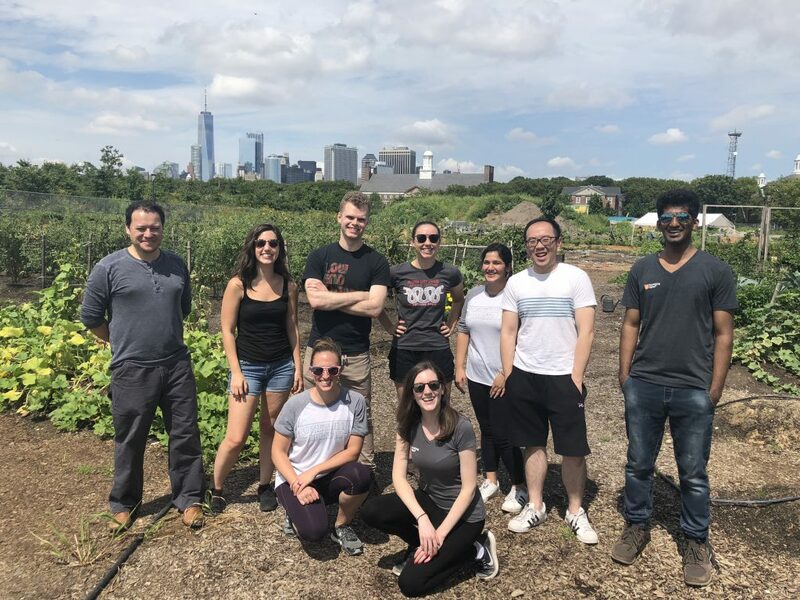 Volunteering with GrowNYC was a great experience from start to finish. Working with such a professional staff for a great cause and being able to spend the day with coworkers outside of the office, in the sun and dirt, was a blast. 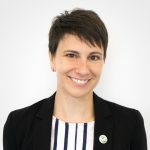 If anyone is interested in learning more about GrowNYC, visit https://www.grownyc.org. Something Digital sits in a prime location in Midtown Manhattan, overlooking Bryant Park and walking distance from the best lunch spots, but that is not what makes our office great. The partners and the people here work to build a culture. From the practices we implement to our monthly celebrations, SD is a place where the culture is inclusive, and that makes it easy to come to work in the morning. We are an interactive agency where every individual has an impact, which is why team members are pulled into engagements from the very beginning. Designers, developers and managers work collaboratively and in constant communication to ensure that projects succeed. Interdisciplinary teams help broaden knowledge, which enables greater efficiency and higher quality. The office space lends itself to open communication – you can see everyone and easily ask for or offer help. It isn’t a cube farm or divided into distant and separate offices. Instead, desks blend together, creating an atmosphere of peaceful coexistence in shared space. The bright décor reflects our vibrant brand colors. To encourage communication and collaboration, each desk has a cabinet that doubles as a bench, and when you just can’t sit anymore, there are standing desks. The kitchen table becomes a spot for work sessions, impromptu luncheons, Friday wine and cheese gatherings, and monthly celebrations for birthdays and work anniversaries. The office is inviting and comfortable, which helps foster a closely-knit group. New team members are welcomed by everyone in the office and—more importantly—with food (Summer hires started with a welcome breakfast and were taken to lunch!). At SD, the welcome made it easier to acclimate and put names to all the new faces. The training process and access to help made for a smooth adjustment and mitigated the rookie mentality. There are also educational opportunities for the full-time staff. They can take classes, earn certifications, and attend conferences to continue their learning and improve skills. Lunch and Learns provide opportunities for them to share new knowledge with colleagues. Creating a positive office culture doesn’t just mean nap pods and in-house coffee shops. It takes careful consideration to foster an environment where everyone feels comfortable in the space and around each other. SD gives its employees room to learn, develop, and share skills. We collaborate at every step to consider all sides of a problem and deliver the best solution. Hiring new members of the team is done carefully and reflects the consideration of our core values. Even the office furniture facilitates SD’s views toward open communication and multidisciplinary collaboration. SD’s attitude and policies ensure that our values remain at the core of everything we do and that our community builds an inclusive culture. Coffee runs, sandbox projects, cubicles and terrifying bosses. The universal intern experience – but we are not interns. At Something Digital, we are Summer Hires and for the next two months we are full-time employees contributing valuable work. We work the same schedule, participate in staff meetings, and are encouraged to speak up by the surprisingly approachable company founders/partners. Plus, everyone makes their own coffee. Hello! I am one of the Summer Programmers at SD working to create an internal tool that generates budgets and workplans. I am approaching my final semester at Stony Brook University, graduating with a degree in Computer Science and a minor in Japanese Studies. Hey! 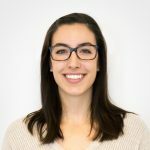 I am a Summer Programmer at SD, contributing my coding skills to refining and enhancing internal tools our developers use for systems security and health monitoring. I am coming up on my fourth and final year at George Washington University, where I major in Computer Science with a concentration in Computer Security and Software Engineering. Outside of coding, I enjoy spending my time playing soccer or watching the NYC skyline from my NJ hometown. Hi! 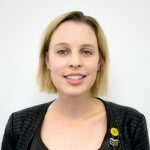 I am the Summer Project Manager at SD working to help plan projects, allocate resources and provide my research skills. 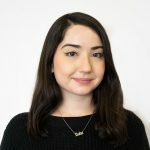 I’m a rising third-year Junior at Stony Brook University studying Technological Systems Management and Business, specializing in Computer Science and International Business. I am on the hunt for the best chicken parm hero in Queens. Stay tuned for the summer hire series all summer long! This past year has been a year of “firsts” for me. 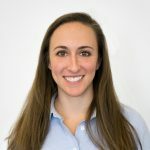 It was the first time I lived on my own, the first time I commuted to work, the first time I kept a time-sheet, the first time I directly reported to a manager, and the first time I got to work as a summer analyst in New York City. My name is Mia, and I just finished my first year at Tufts University (Go Jumbos!). Working in a New York City office was intimidating in the beginning. I felt like I didn’t know what I was doing. In a few weeks, I slowly picked up on habits and office etiquette. The Orientation process summarized the different teams at Something Digital and the company’s history. However, they did not specifically go over how to report to someone, update your time sheet productively, stay organized, schedule a meeting with 10 very busy people, and get up at 7 am every day to catch a train into the city. However, I did finally master these skills (still struggled in the wake-up department though). My personal summer project ended with a presentation to the managers and partners in the office. When I found out that I would have to give a presentation at the end of the summer, my stomach immediately dropped. I was reassured by my manager, Mickey Winter, that she trusted me and knew that I would learn the material. This sentiment of trust, confidence, and helpfulness is characteristic of Something Digital’s office atmosphere. The people in the office work like a well-oiled machine. They are constantly discussing strategy, new ideas, and issues, while being very inclusive and smiling broadly. I can tell that the people truly love to be there because of Something Digital’s honesty and transparency. I discovered a lot about myself and my career by working with the people at Something Digital. My presentation went great (if I do say so myself)! Of course I was nervous, but the sense of accomplishment and positive feedback that I received when I was finished was very rewarding. I can only hope that my career is filled with as much inspiration and excitement as those of the people at SD. The four weeks that I spent as a summer analyst flew by very fast. I learned a lot from my superiors, fellow summer hires, and the office experience itself. My new skills in scheduling, organization, business, presenting, copying, printing, and lunch run techniques are always going to be useful for me. Starting a new job after college without confidence or any solid occupation idea can be scary. But, this job has given me a better sense of my own skills and what I want my career to be like. This was an incredible year of “firsts”, and Something Digital is definitely a first I will value for a long time.